Pharmaceutical companies Eli Lilly and Co and Boehringer Ingelheim announced that their type 2 diabetes treatment, empagliflozin, has been shown to work in four late-stage trials. According to a Reuters report, the companies expect to file for regulatory review of the drug in the United States, Europe and Japan in 2013, and will present detailed data from the trials. Diabetes treatment is a potentially lucrative market, especially in light of recent health concerns over likely competitors. Studies have linked two prominent Type 2 diabetes treatments – Merck’s Januvia and Amylin Pharmaceuticals’ Byetta – to pancreatitis and pancreatic cancer. 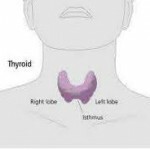 Byetta has also been linked to an increased risk of thyroid cancer. According to Reueters, Boehringer and Lilly are collaborating on several diabetes drugs. Worldwide, an estimated 371 million people have diabetes. Type 2, in which the body does not produce enough insulin or the cells ignore the insulin, is the most common type. Empagliflozin is supposed to reduce blood glucose levels in adults with the condition.